It’s been 2 months since the devastating Camp Fire in Paradise, CA. We have been so blessed with an outpouring of love and support during this time. We are happy to announce that we are back up and running. We have limited stock at this time, but will be moving forward to fully restock in the coming months. Thank you all for the kind words of encouragement and the many prayers. It is with great sadness that we share that we have lost both our home and business in the devastating Camp Fire that leveled the community of Paradise California. We are heartbroken and coming to terms with what the future holds. We love our customers and what we do, so we are determined to move forward and return anew. Everyone is raving about the new Re-Design Transfers from Prima. Beautiful and versatile, these transfers transform your home decor into to something WOW. Easy to place and use. The transfers are in separate parts which can be put together to transform a large piece or cut apart and used for smaller projects. If you're not quite ready to try a big project, the new Knob Transfers are a quick and easy update for your furniture pieces. Designed to fit 1.5" and larger knobs. If you're like me, you have dozens of mixed garden pots on your patio or in your garden. Cari Fennell with Prima Marketing shares some great ideas to bring new life to your garden pots. 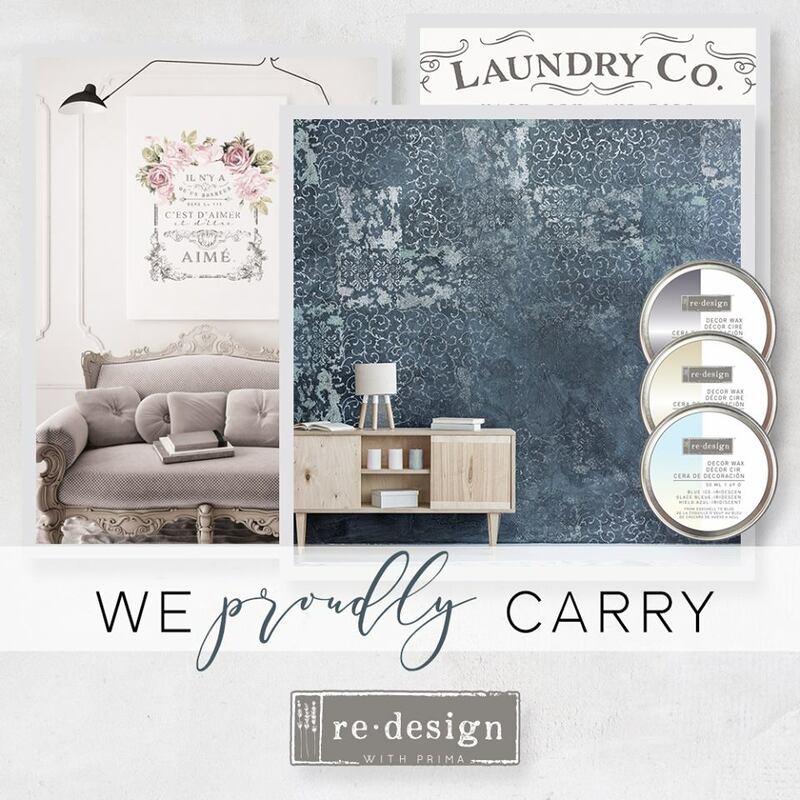 We are proud to carry the new Re-Design Products from Prima. This is a versatile collection of Silicone Decor Moulds, Home Decor Stencils, 3D Concrete Molds and Stencils, Transfers and Decor Waxes can be used to transform your home. We will be adding additional information and how to projects using the various products. On August 17th we will be celebrating our 20th Anniversary at Four Creative Seasons. It's been a long journey and we've met some amazing people along the way. We are makers at heart and have returned to our roots. We will be appearing in several Artisan Faires this fall, featuring our handcrafted wares. You can still find curated maker supplies here and in our shops on Etsy and eBay. We want to THANK YOU all for joining us on this adventure.